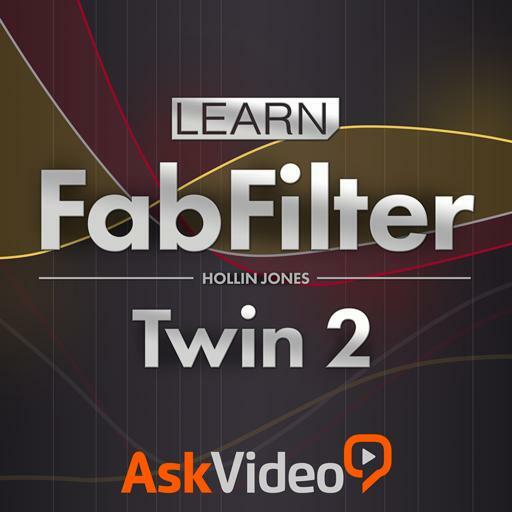 FabFilter 101 - Learn FabFilter Twin 2. How many modulation sources can you use? What is the most important component of dubstep bass patches? How many MIDI in CCs are available in the mod section? How many oscillators can you use per patch? How do you assign modulation? Where is the modulation section located? Can you modulate master volume? Which mod source module lets you build sequences? How does XLFO help with sequencing? How much movement does an XY pad allow? How many oscillators are there? What is MIDI learn used for? How many delay channels can you use? What does the A/B section help with? What's possible to do with filters? How many presets does the MIDI in source have by default? How do you edit a delay in detail? How many waveform types does Twin 2 have? What’s a quick way to alter the waveform? Where does Twin 2 store presets? Can delays be mod destinations? What is portamento used for? How many modulation source types are there? How do you reveal different sections? How many routing options does the filter section have?